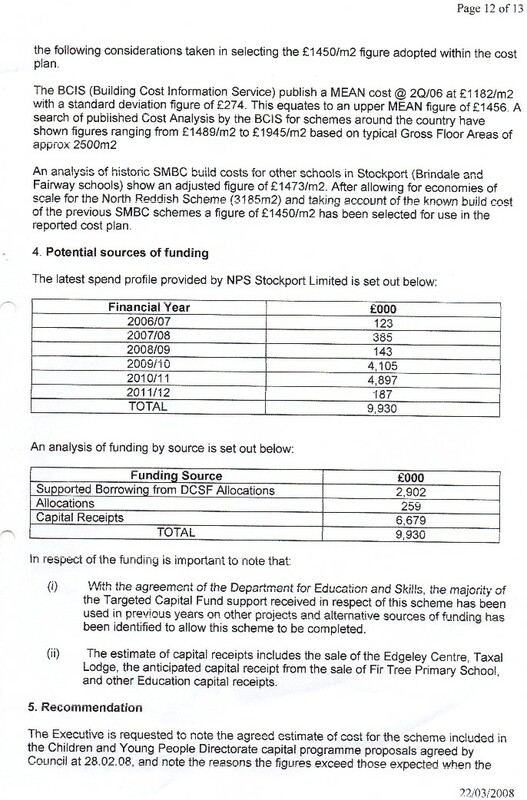 By May 2008 the cost was £9,930,000. Why the further rise, I asked? Don't be rude, offensive, vexatious and stop wasting our valuable time with your pesky questions, they said. Of interest, in 2014 they are planning to build a school at Queen's Road for 630 pupils at a cost of £7.5m. The Vale View school was (eventually) for 525 pupils and we are not allowed to know the true cost but one assumes £10m plus. In both cases the Council owned the land already, so that was not a factor in the price discrepancy.